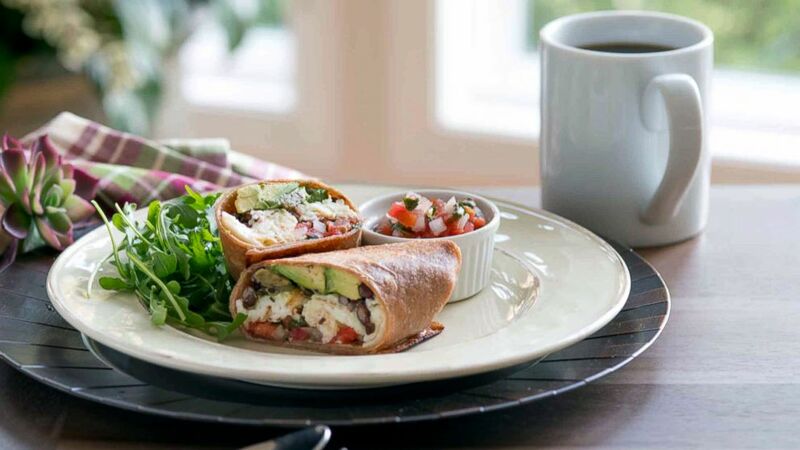 "Food for Thought" author shares her egg white protein wrap breakfast recipe. For Cristina Ferrare, breakfast is the most important meal of the day. The chef and TV personality is now the author of "Food for Thought: Recipes for Ultimate Mind and Body Health," in which she her healthy and nourishing recipes that she makes at home. Ferrare shared some of her favorite healthy morning dishes on "Good Morning America." Get her recipes from her book for egg white protein wraps, cheesy toast and polar iced coffee below to mix into your routine. (Todd Porter and Diane Cu) "Food for Thought" author Cristina Ferrare shares her egg white protein wrap recipe. Place the tomatoes, red onion, cilantro, scallions, lime juice, salt, jalapeño, and olive oil in a glass bowl, and mix well. Salsa can be made the day before and will last 3 to 4 days in the refrigerator in an airtight container. Enjoy the salsa over eggs or with tortilla chips! Spray a 10" to 12" inch cast iron skillet or heavy bottom skillet on bottom and sides liberally with cooking spray. Turn the heat to medium for one minute then place a tortilla in the skillet for 30 to 45 seconds, turn over and do the same with the other side. Wrap the tortillas in a kitchen towel and place them in the pre-heated oven on a baking sheet. Continue to do the same with the rest of the tortillas. Keep all the tortillas wrapped and in the oven until you are ready to serve. In a mixing bowl, whisk together the egg whites and coconut milk. Spray the same skillet you used for the tortillas with cooking spray again. Turn the heat to medium and pour in the egg mixture. Use a wooden spoon to constantly stir and fluff the egg whites until they are cooked through, about 2 to 3 minutes. Add salt and pepper. Remove the skillet from heat and sprinkle cheese evenly over the egg whites, cover with a lid and let sit for 2 minutes until the cheese has melted. On a chopping board, lay out one tortilla at a time. Before you start to fill make sure you leave a space of 1-1/2” inches open on each side of tortilla to make it easier to roll and tuck. Spread 1/4 of the avocado on the lower third of tortilla, mash lightly with a fork, add ¼ cup of black beans, several jalapenos. Divide the cooked egg whites equally into 4 parts. Place 1/4 of the egg whites over beans, followed by 2 tablespoons of salsa, 1/2 cup of wild arugula and several cilantro leaves. Take the bottom of the tortilla and roll it over filling snuggly twice, tuck in each side of tortilla and continue to roll it up tightly. In a clean skillet on medium high spray cooking spray and place rolled tortilla starting with seam side down, lightly brown the outside of the tortilla on all sides. Remove from skillet, slice in half and serve with extra salsa on the side. (Todd Porter and Diane Cu) "Food for Thought" author Cristina Ferrare shares her cheesy toast recipe. "Everyone in our family loves cheesy toast for breakfast! It’s like having a grilled cheese sandwich but without all that butter, cheese and extra bread that we don’t really need to eat, especially in the morning," she writes. "This dish is easy and can be prepare quickly. It’s light yet satisfying and won’t sit in your tummy promising to cause problems later. I make this for lunch too and serve it with a bowl of soup or a light salad. I follow it up with a steamy latte." Place oven rack 4" inches from the heat source. Toast the bread in a toaster and let cool for a few minutes. 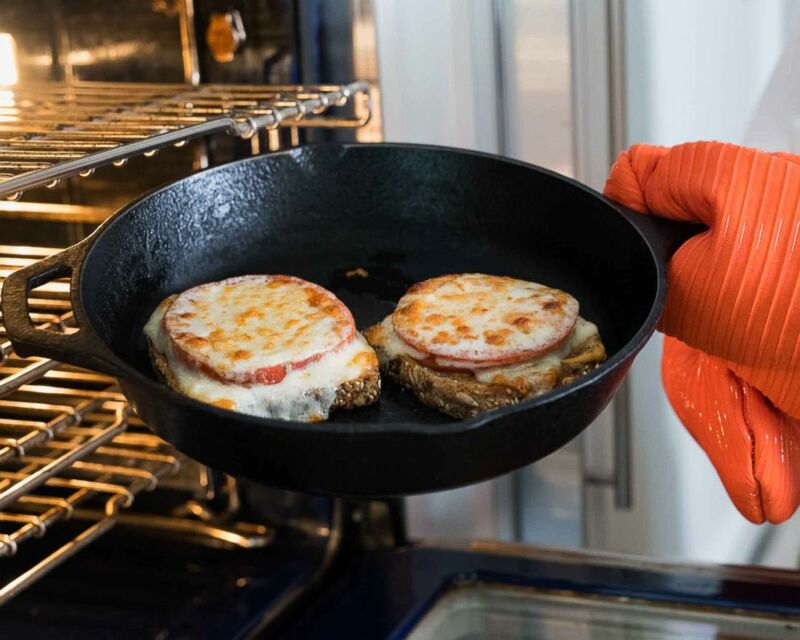 Place the toast in an oven proof skillet (my preference is always a cast iron skillet). Spread one tablespoon of Dijon over entire bottom of toast. Add a slice of the tomato with a pinch of salt and pepper over the top. Lay one slice of cheese over tomato and place under the broiler to melt the cheese. It won’t take long so don’t walk away. Remove the cheesy toast when the cheese has completely melted and starts to bubble and gets a bit crusty. Serve with a steamy hot latte or herbal tea! 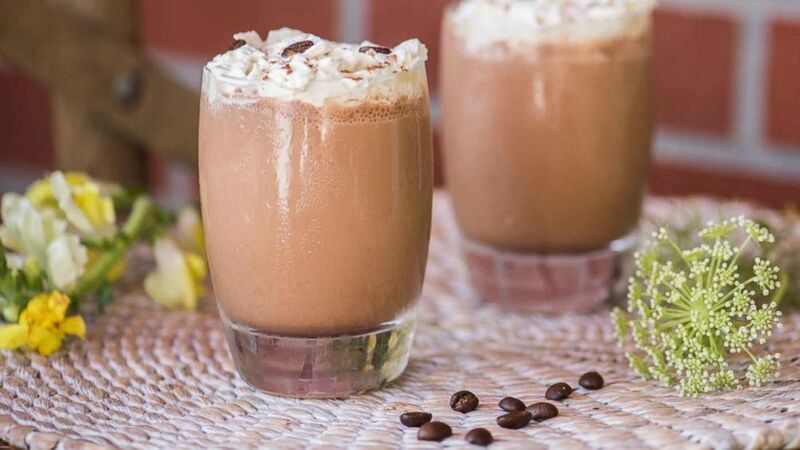 Place coffee, 6 coffee beans, cocoa powder, banana, ice cubes, hazelnut milk, cacao powder, hemp seeds, 2 tablespoons hazelnuts and Stevia in a blender on high speed for a full minute. Pour into cups and top with whipped cream, chopped hazelnuts and a pinch of cinnamon.